SDS1202CNL+ series products have rich trigger modes Edge, Pulse, Video, Slope, Alternative and delay trigger mode, which satisfy with users more extensive needs. Alternative trigger mode is usually used to observing two non-correlated signals at the same time and users can select different trigger mode for two channels, which is a kind reproduction that analog oscilloscope function in the digital oscilloscope. 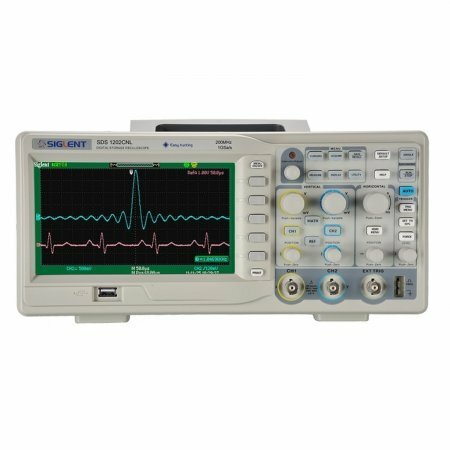 SDS1202CNL+ series can auto measure thirty two parameters, which is most in the same level digital oscilloscopes. Auto measure function can eliminate user error consumedly, and more accurately using it. 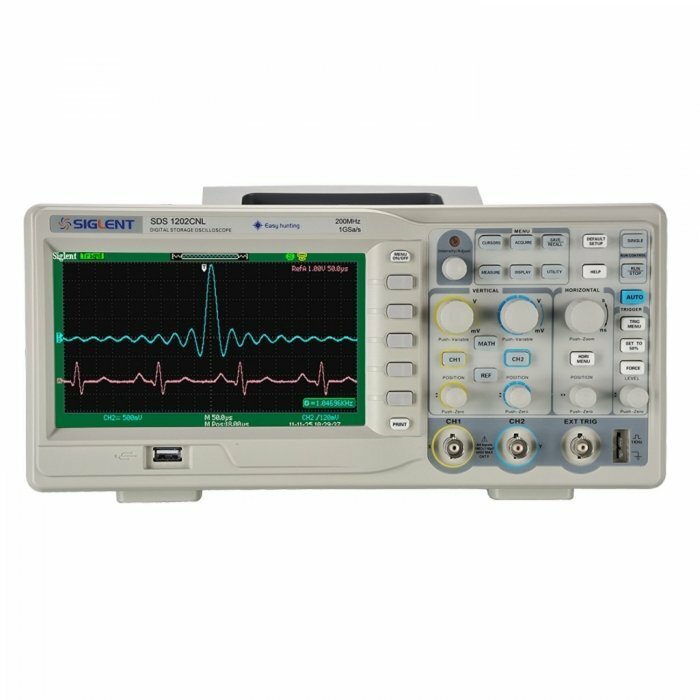 SDS1202CNL+ series also have all measurement function that displays all the waveform parameters on the screen according to measure kinds, and users can ready measure parameters value expediently. So SDS1202CNL+ series are your most perfect measure tools in current market. EasyScope3.0 software is the powerful system software suitable for SDS1202CNL+ series products. This software can be compatible RS-232 and USB Device to realize communication between the computer and the oscilloscope, then realizes long-distance control. Simultaneously this software can automatic real-time refresh waveform data , provide waveforms, measure data, sampling data, screen images read, storage and printing functions. In addition EasyScope3.0 also has setups upload and download function. Most quickly basing on millisecond level interactive between PC and SDS1202CNL+ series make users to be easier to analyze, research waveforms and data.